What I would like for my mother’s day breakfast and what I NEED are two different things. I’d prefer to eat the French Toast bread pudding covered with mixed berries and smothered in hot “Fat Sauce”. HOWEVER, I have another marathon in 4 weeks. That means I should be eating healthy and eating whole grains as much as possible. I’m sure you are thinking WOW that’s a ton of carbs! Yep, it is and I can eat carbs. Good carbs that is. I’m running 40-50 miles for the next few weeks, so I need to fuel my body with good foods. I found this recipe years ago in a cookbook called “The Black Dog Summer on the Vineyard”. Fun cookbook. Easy pancakes. 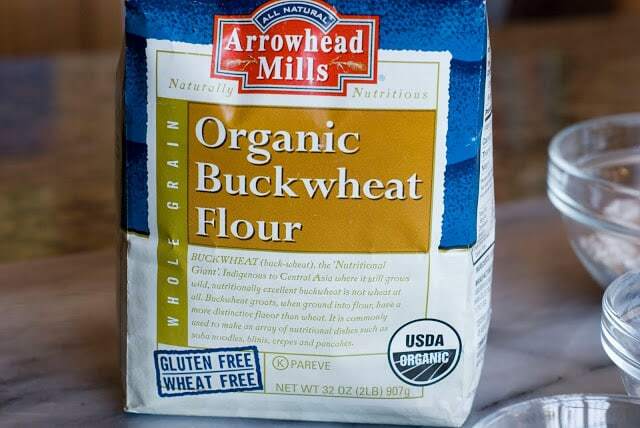 This recipe calls for Buckwheat flour. It’s healthy and you can find it in your grocery store. I like buckwheat. 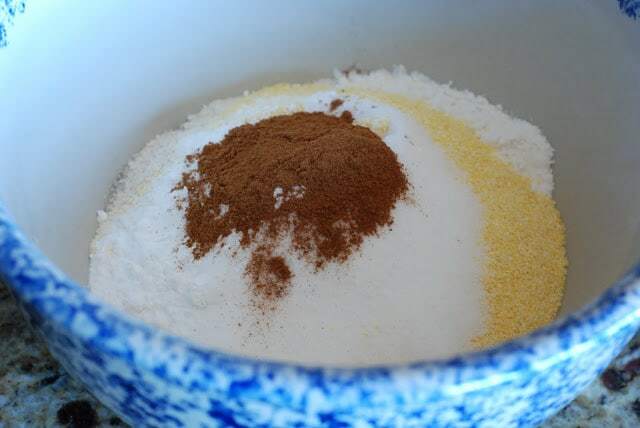 Our dry ingredients: flour, buckwheat flour, wholewheat flour, cornmeal, sugar, baking powder, baking soda, salt and cinnamon. 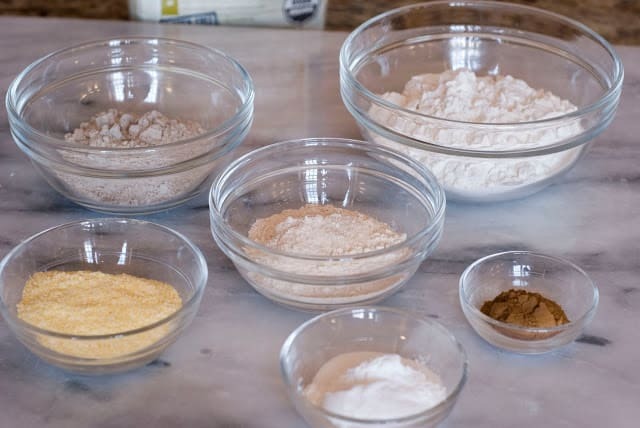 Put all of these dry ingredients in a medium size mixing bowl. Until all the dry ingredients are blended together. 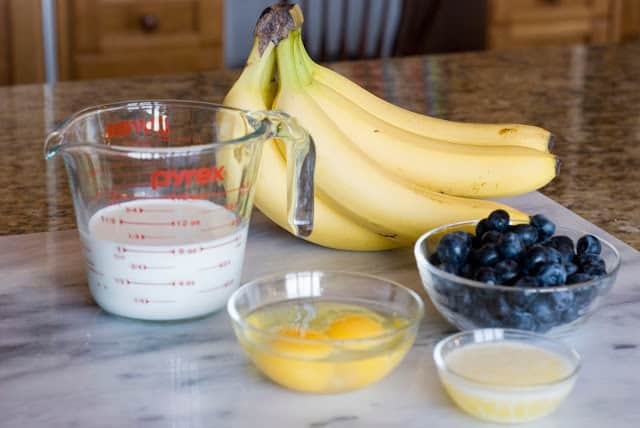 These are the wet ingredients: milk, eggs, melted butter. Also fresh blueberries and banana’s. These blueberries are a bit bigger than I like, but it’s all I could find at the store. What I’d give for some Maine wild blueberries out west…that would be grand. 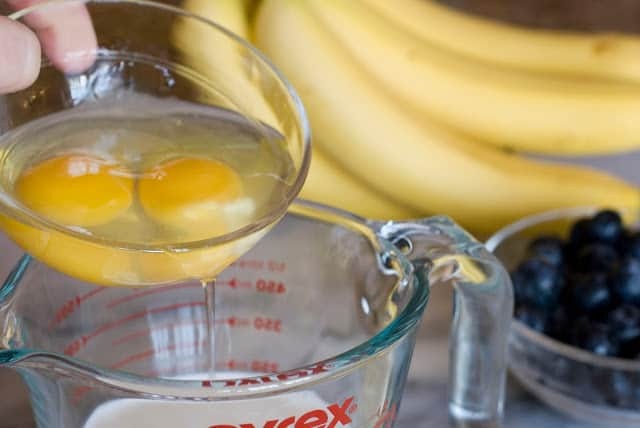 In a small mixing bowl or I’m just using the measuring cup, add the eggs to the milk. 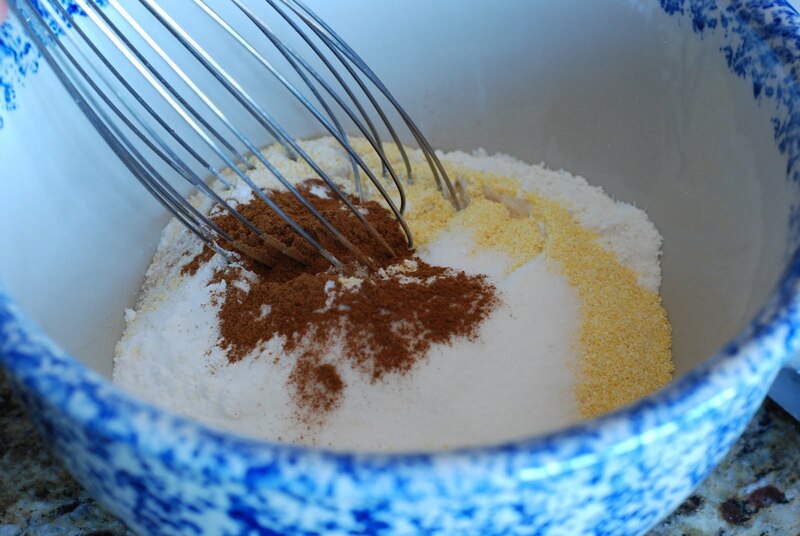 Whisk them together until well blended. Gently mix with a rubber spatula. 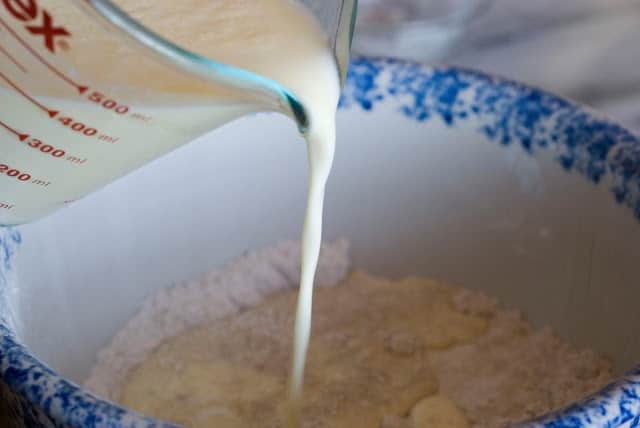 At this point if you feel like you would like a thinner batter add more milk. Careful not to overmix or your pancakes will be tough. At this point you can gently fold in the blueberries. I don’t fold them in I like to place them on top of the pancakes as the cook. Lightly oil a hot griddle. Ladle a 5-inch circle on the hot griddle. 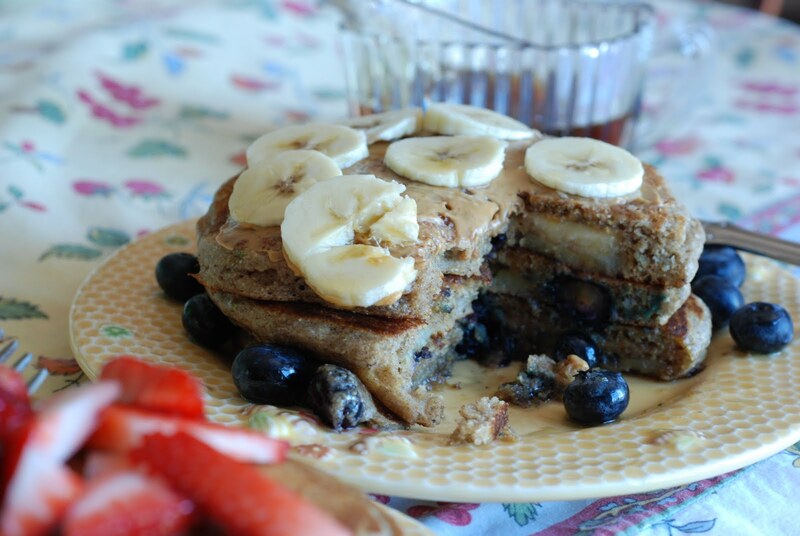 Arrange blueberries and bananas on top. 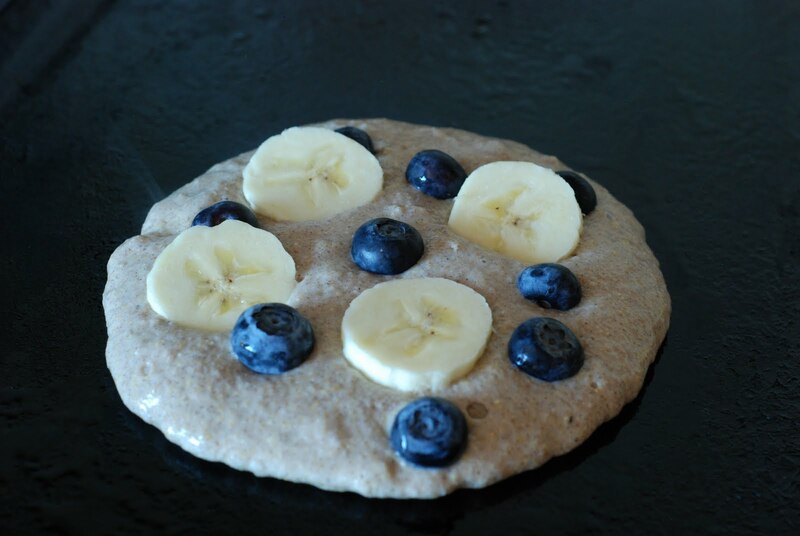 Cook until bubbles start to appear on the top of the pancake. Flip the pancake. 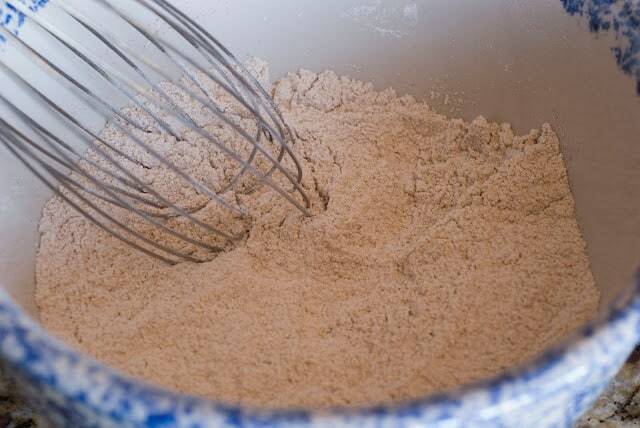 Repeat with the rest of the batter. 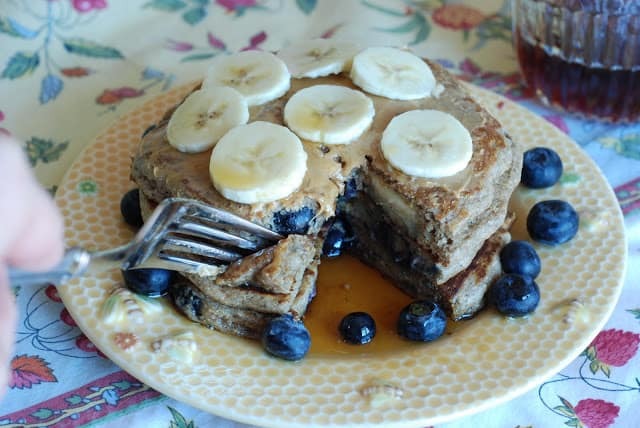 This is how I’m diggin’ my pancakes lately. Yes! It’s peanut butter. Yes! I should be using fresh ground Almond butter, but I’m out. I need a trip to Whole Foods so that I can freshly grind my Almond butter. For now I’m using peanut butter. 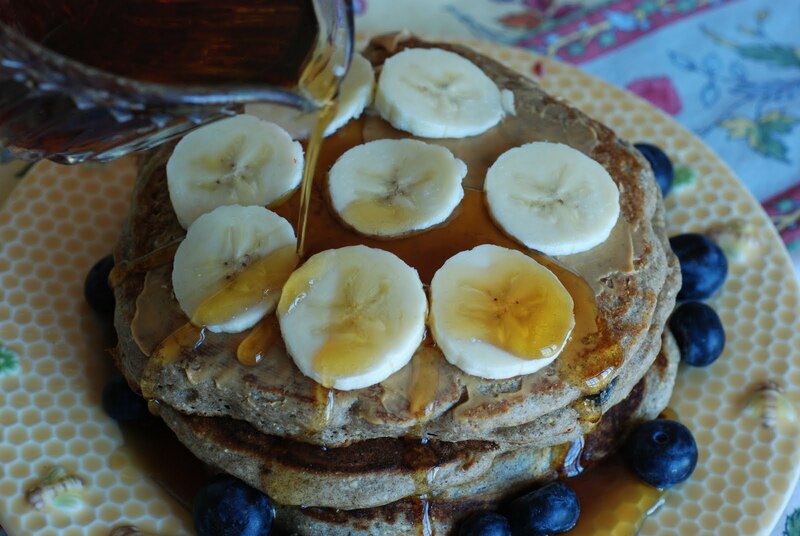 I like to top my pancakes with more banana slices and hot pure maple syrup, not the fake stuff (ewww). I love how the hot blueberries pop in my mouth. Oh ya, strawberries and chocolate! 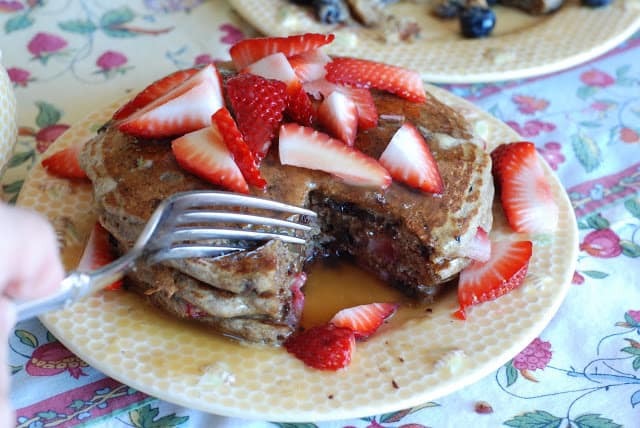 Instead of blueberries and bananas just sprinkle the top of the pancakes with sliced strawberries and mini semi-sweet chocolate chips. 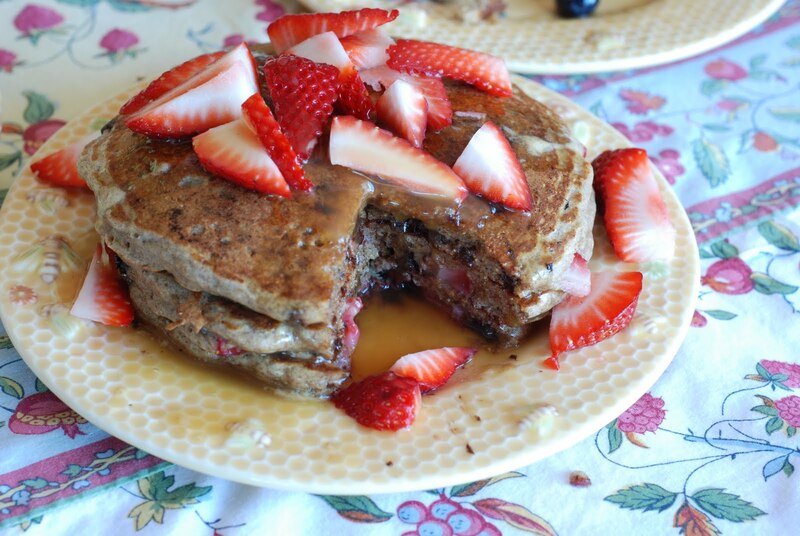 Top with more fresh strawberries and some “Fat Sauce”. I hope someone comes home to help me eat all this! 1. 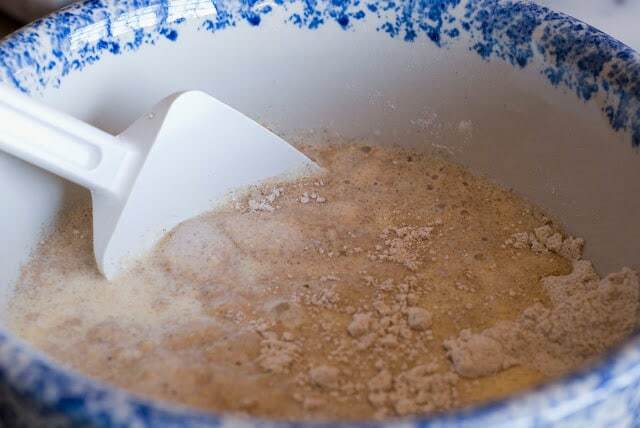 Mix the dry ingredients together in a medium size bowl. 2. 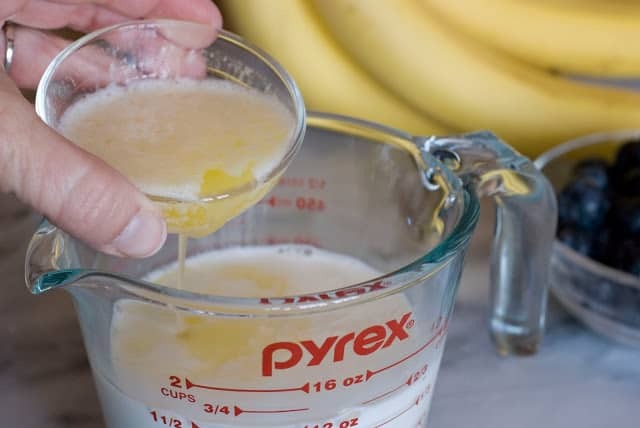 In a separate bowl beat the eggs with the milk and the melted butter. 3. 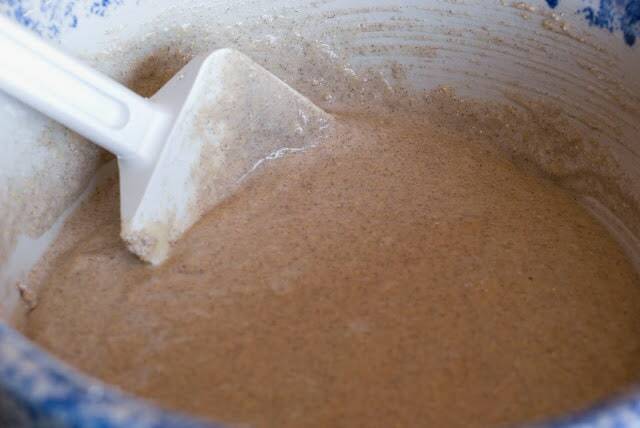 Add this wet mixture to your dry ingredients until you have a basic pancake batter. 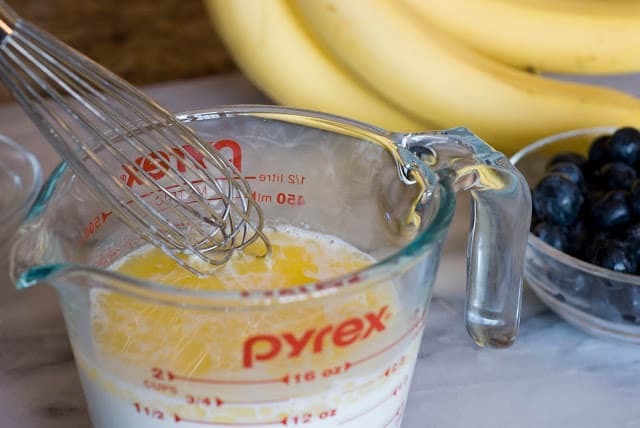 Add an additional ¼ cup milk of the mixture is too thick for your liking. Don’t stir too much or the pancakes will be tough. 4. 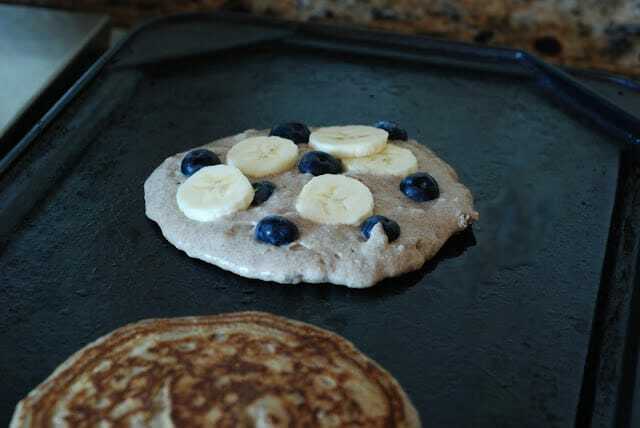 When the batter is ready, gently fold in the blueberries. 5. 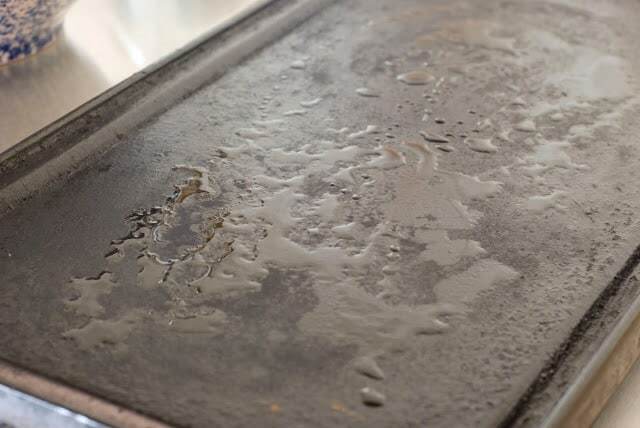 Heat a griddle, adding a little oil. 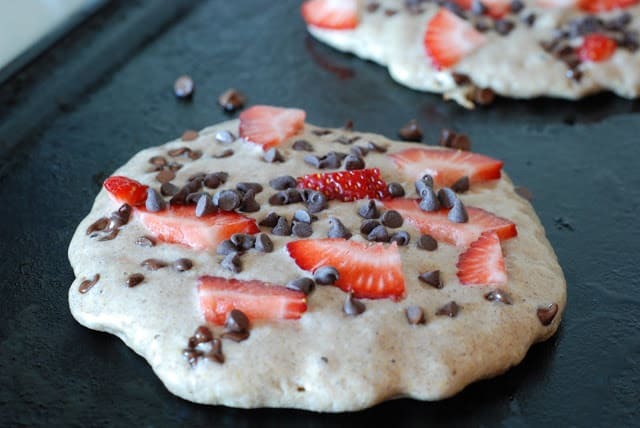 Ladles a five inch circle of batter onto the griddle. Drop a few slices of banana into each circle. 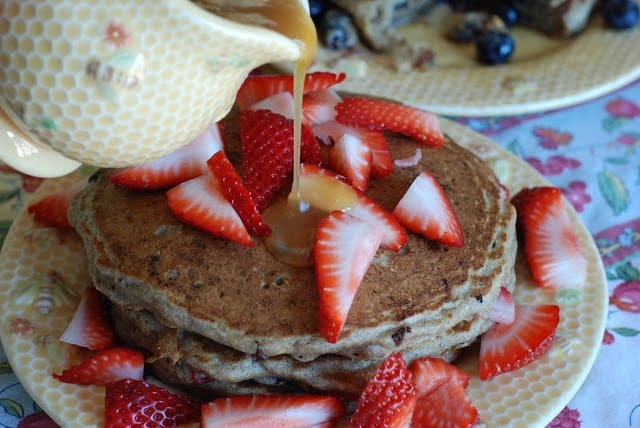 Cook pancakes until the tops are covered with tiny bubbles, then flip them over and finish cooking. 6. 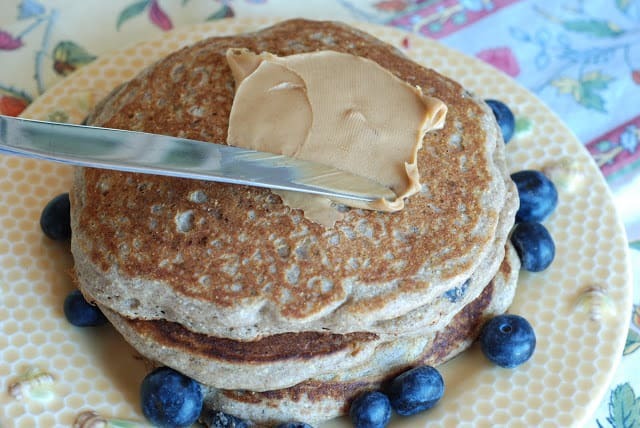 Serve hot with peanut butter (my choice) and pure maple syrup. I hope you have a fabulous Mother’s Day. My wish for you is that someone at least helps you with the dishes.